As you probably know by now, the Nike Air Foamposite Pro “Asteroid” isn’t a solo affair. 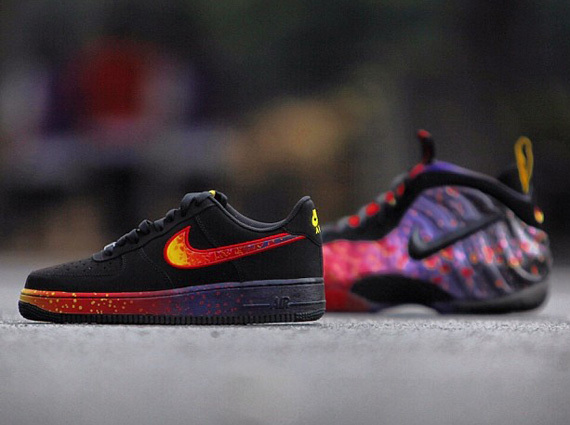 The shoes will be released alongside a Nike Air Force 1 Low that sports some similar galactic graphics. The only thing is that the Air Force 1 in question is just a bit more subdued with its usage of graphics-instead of an all over print the base of the shoes stick with black. Will you be purchasing the whole set, grabbing just one, or ignoring them all together? Tell us in the comments and remember that these two Nike Sportswear styles will be at sneaker stores this month.